A stylish leather look washbag in brown or black, with personalised embroidered monogram. 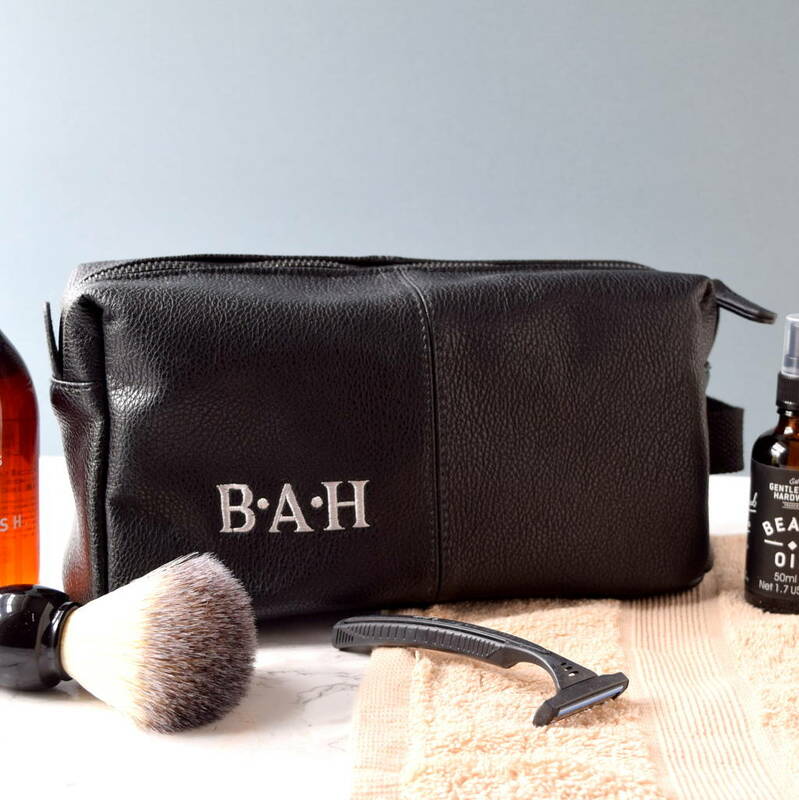 A really useful gift for men who travel and a fabulous choice for a truly personal gift for Dads, brothers, nephews or Grandads. 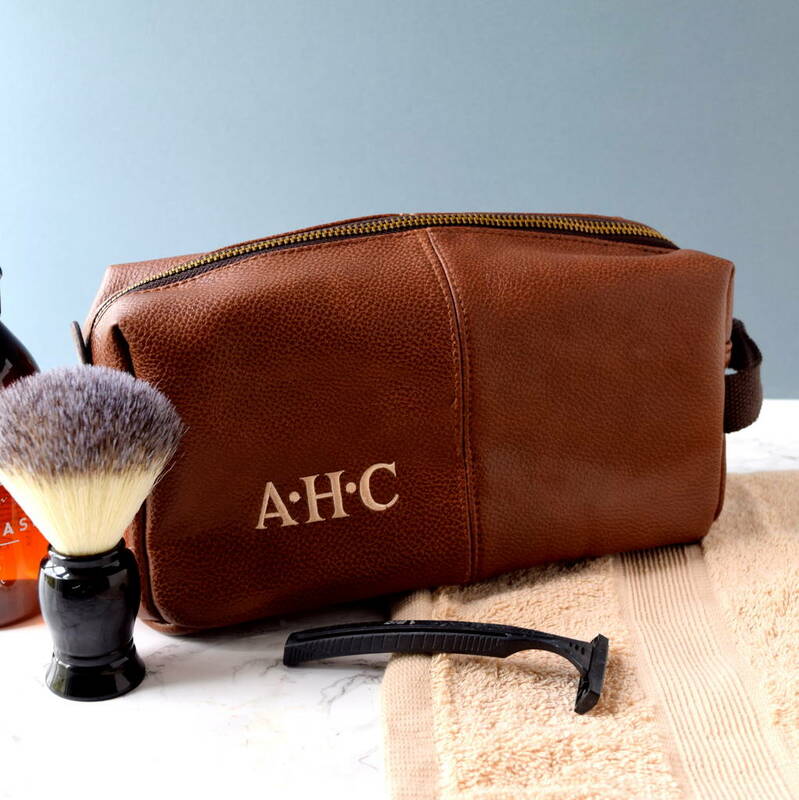 Ideal for your wedding party - best man, groomsmen, ushers, groom's father and father-in-law can have matching bags with their own initials embroidered in a cream. 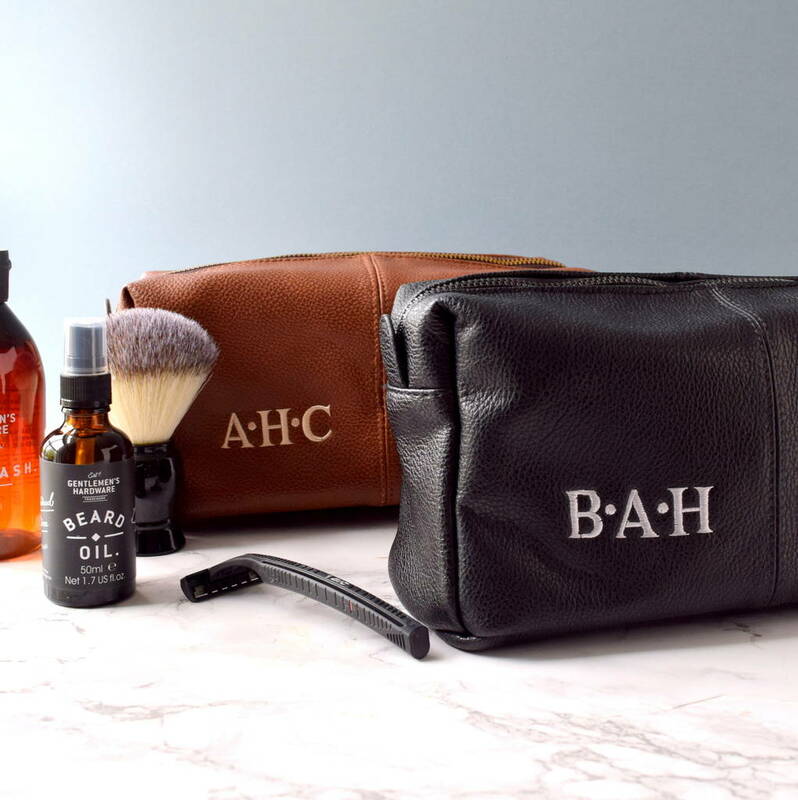 The personalised toiletry bag for men comes in a brown or black leather look material with a soft leather grain finish. It has a zip opening and a zip pocket inside, as well as a robust canvas hanging loop. The toilet bag is lined with wipe clean showerproof lining and has zip top opening. Made from leather effect fabric that is hard wearing and practical. Wipe clean outer and shower proof lining.